An impressive guest chair that feels as good as it looks. Soft touch black leather upholstery. Stylish and durable solid wood frame. An impressive guest chair that feels as good as it looks. Soft touch black leather upholstery. 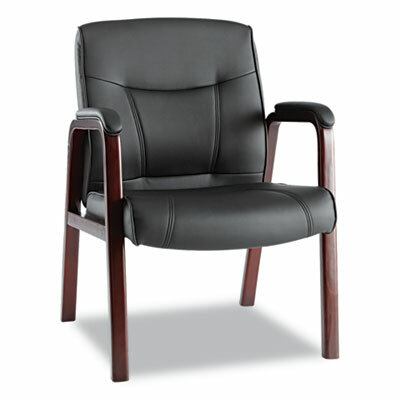 Padded armrests for comfort. Stylish and durable solid wood frame.